If you are allergic to any herbs, spices or sugars please review the ingredients for each blend prior to use and or talk with your doctor. If you have any adverse effects please discontinue use immediately. We take many precautions to insure that each blend is not contaminated with another blends spices but there is always a possibility that small amounts of some other spices may be in your product. This statement has not been evaluated by the FDA. This product is not intended to diagnose, treat, cure, or prevent any disease. We do not make any claims that our products will cure any disease, fix any health issue or make you any more attractive. 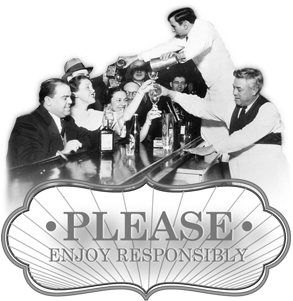 You will be infusing our spice blends with high proof alcohol so please practice responsible drinking at all times. It should go without saying but, high proof spirits are flammable so PLEASE do not smoke while infusing, or create a spark or flame near an open container of high proof spirits. Please do not use our infusions if you are nursing or planning to become pregnant, taking any medications, planning any medical procedures or have any medical condition. Consult your doctor before use. According to the Surgeon General, women should not drink alcoholic beverages during pregnancy because of the risk of birth defects.